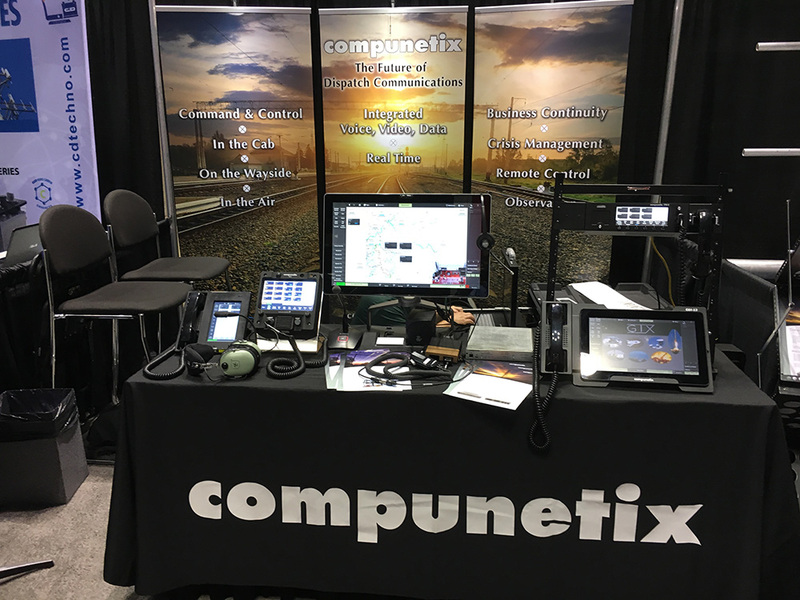 Compunetix recently exhibited at the Railway Interchange show at the Indianapolis Convention Center, September 17-20, 2017. This show was a combined exhibit for: Railway Supply Institute (RSI), Railway Engineering-Maintenance Suppliers Association (REMSA), American Railway Engineering and Maintenance-of Way Association (AREMA), and Railway Systems Suppliers, Inc. (RSSI). Compunetix has been manufacturing voice communications systems for command centers for decades and was showcasing these solutions, along with integrated multimedia (streaming video, imagery, video teleconferencing, and data). Dispatch management is critical to maximizing railroad efficiency, ensuring safety, and managing crises. Traditional dispatch systems have focused on voice communications but compunetix is seeking to revolutionize the dispatch environment with the seamless integration of voice, video, imagery, and data. These technologies greatly enhance the dispatcher’s abilities. Click Here for more information on our Rail Communications Solutions.